Need help! How do I get to the book of Deuteronomy? Just got the app, and I’m on vacation and didn’t bring my bible cuz I figured I could read from my phone. Well I just started the book of Deuteronomy and when I put in the search it says no search results found! Yikes! I guess I could find another app, but I paid for this one! I love this app! It’s easy to navigate and use. 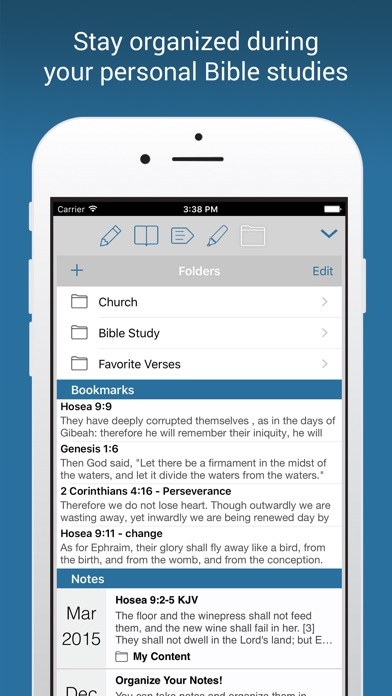 All the Bible apps, study notes, and translations are well integrated for smooth transitions and ease of use. I’m able to spend more time in God’s word and less time trying to figure out how to use the app. I literally have a whole library of Bible translations, commentaries, study Bibles and even two audio Bibles at my fingertips. Thank you Tecarta for making such an awesome app. Please keep up the great work!!! Very easy to navigate. Has helped me in my daily spiritual walk. 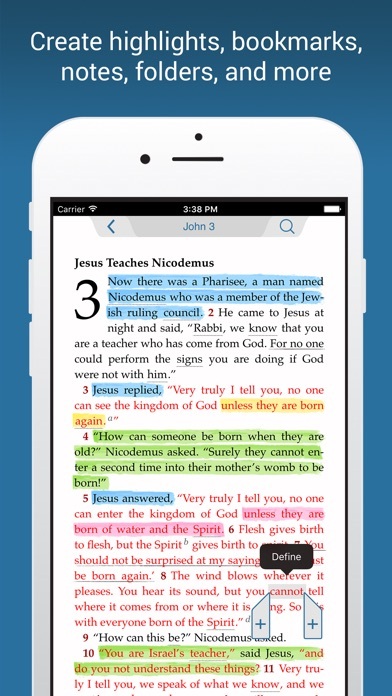 Excellent App makes it easy to navigate between the chapters and highlight verses. Very easy to use especially when doing my BSF home work. I highly recommend it. Well organized and can find verses quickly by search engine. The available daily devotions is a must for a powerful practical daily lessons and blessing from God. So far this bible App is fantastic I love the inspiration as well! The NIV version is great, I’m enjoying the word of God! I hope and pray it gets even better!! God bless! I wake up every morning and read this app. It’s inspiring and gives me hope for the day ahead. 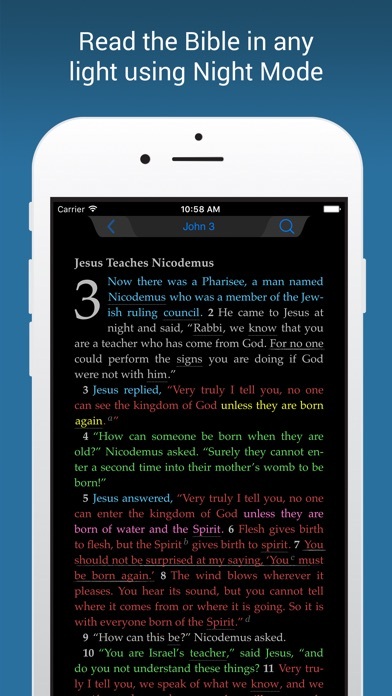 As a pastor with lots of resources, I find this app to be my go-to on the phone Bible. Over the past 15 years or so, I have invested thousands of dollars into digital books and resources to help read, study, understand, preach, and live the Bible. And while I do use those resources, many of them are for specific uses, or get too bogged down in either clutter or navigation. Therefore, I have found myself returning to this app over and over again. I have purchased a couple of the Bibles in the app, and they are remarkably similar to the feel of the hard copy for an app, and as I mentioned, they do this while still maintaining ease of use! 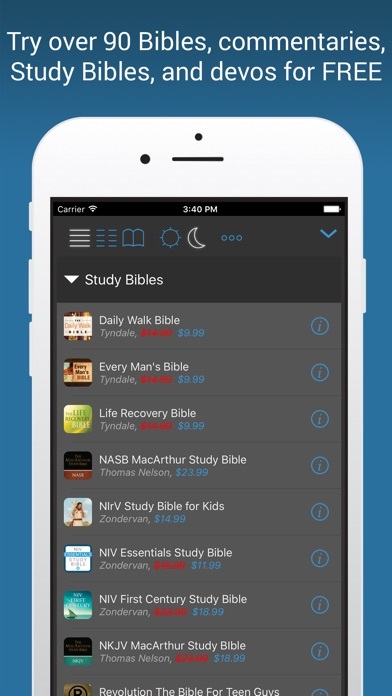 For anyone starting out, let me highly recommend getting the app and then purchasing the “Quest Study Bible” within. I find the questions and answers in that Bible to be most often the questions people are asking about each passage. One more thing that I love about the app? 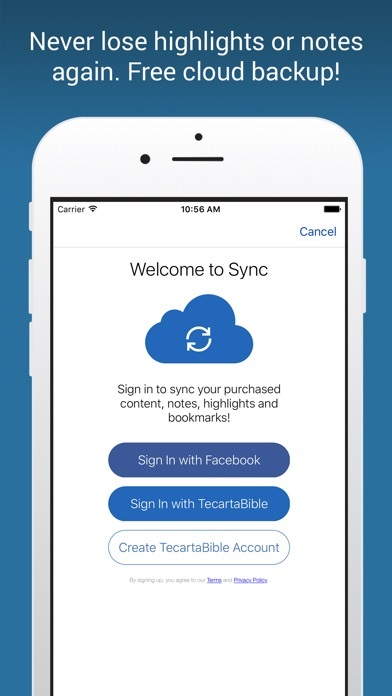 It will automatically sync your highlighting and notes, etc. across multiple devices, so your personalization is always with you.